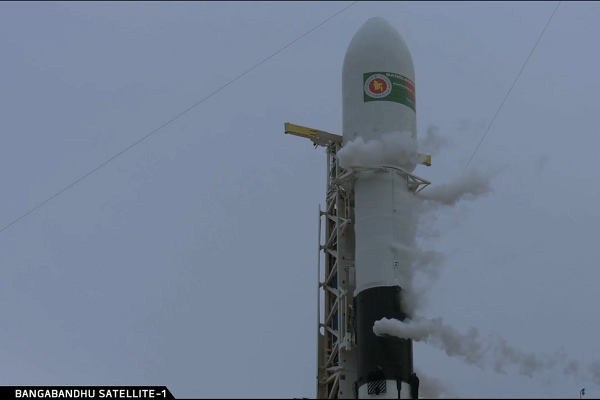 Bangladesh’s flagship venture Bangabandhu-1 satellite will be launched into orbit today. 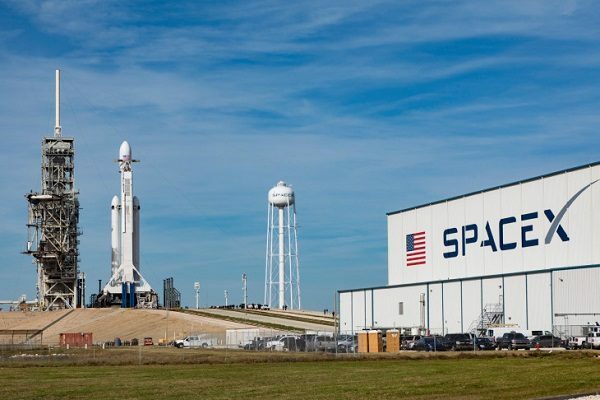 The satellite will be carried by a SpaceX Falcon-9 rocket and the launch will be streamed live at US local time 4:12pm to 6:22pm from SpaceX launch station in Florida. 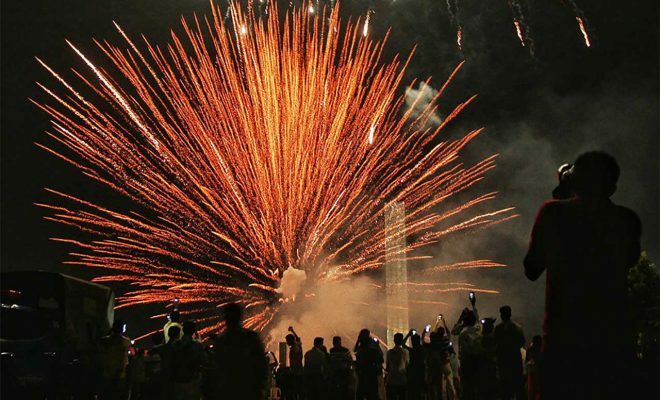 “This is the same launching station from where a Korean satellite was launched last year,” Md Mezbahuzzaman, project director, of the Bangabandhu project, told The Media Person. Also, this was the station from where Bangladesh’s first nanosatellite, BRAC Onnesha, made by BRAC University students, was launched last year. 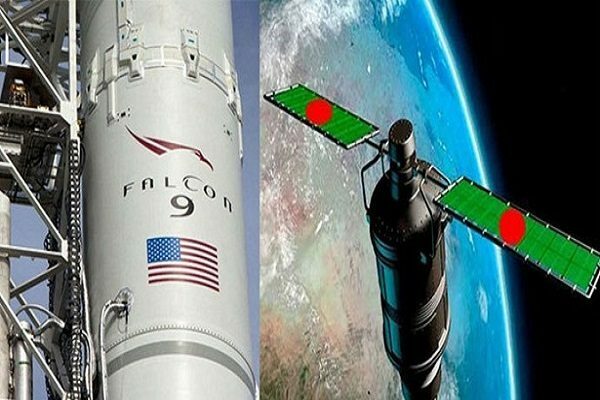 Before flying to Florida to witness the launching, Bangladesh Telecommunication Regulatory Commission (BTRC) Chairman Shahjahan Mahmood and project Director Mezbahuzzaman described elaborately to The Media person how the satellite will be launched into orbit. Mahmood said, visitors will have to be within five kilometres from the launch pad to see the take-off with their own eyes. The satellite will remain visible for around seven minutes. “The 3.7-tone satellite will travel vertically up to 36,000km from the launch pad before making adjustments for orbit and it will take ten days for that,” project Director Mezbahuzzaman added. The launch process has two phases. The first is the Launch and Early Orbit Phase (LEOP) and the second phase is Satellite in Orbit. The LEOP phase will take 10 days while the second will take 20 days. After the satellite becomes active its control will shift to three ground stations in the US, Italy and Korea. “The three stations will take control of the satellite and move it 300km to its assigned position (119.1 east longitudinal orbital slot),” Mezbahuzzaman said. It will take about 20 days to bring the satellite under complete control. Once it is completely operational, the control will be transferred to the ground stations in Bangladesh, Mahmood added. The Falcon-9 rocket, has four parts, with the satellite on top, followed by the adaptor. Below the adaptor is Stage-2 of the rocket, while the lowest section is Stage-1. “During take-off Stage-1 will fire and will carry the spacecraft upwards with tremendous speed,” the project director said. After taking the satellite to suitable elevation, the Stage-1 rockets will break loose and fall back to earth, switching on the Stage-2 rockets. Stage-2 will carry the spacecraft to 35,700km before being jettisoned and will linger in orbit at a certain distance from the satellite, he added. It will take few more days to tame the satellite at its Gazipur’s Joydebpur and Rangamati’s Betbunia ground stations. 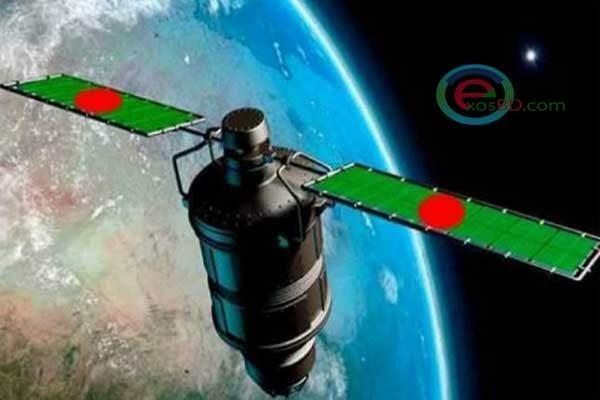 Bangabandhu-1 has 40 transponders, one equivalent to 36MHz spectrum. According to the plan, Bangladesh will use 20 transponders. The 20 others will be rented out to other countries especially in some South East Asian countries like Philippines and Indonesia. 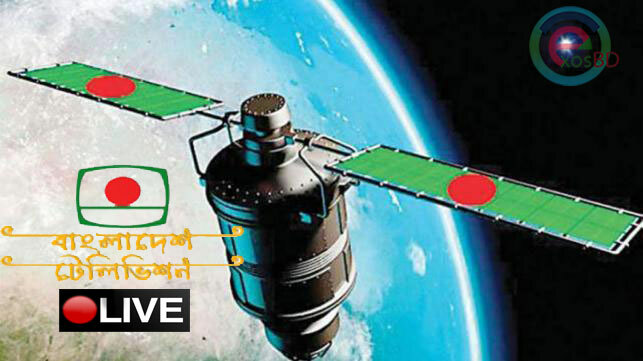 The Bangabandhu Satellite’s ground stations have been built in Gazipur’s Joydebpur and Rangamati’s Betbunia.